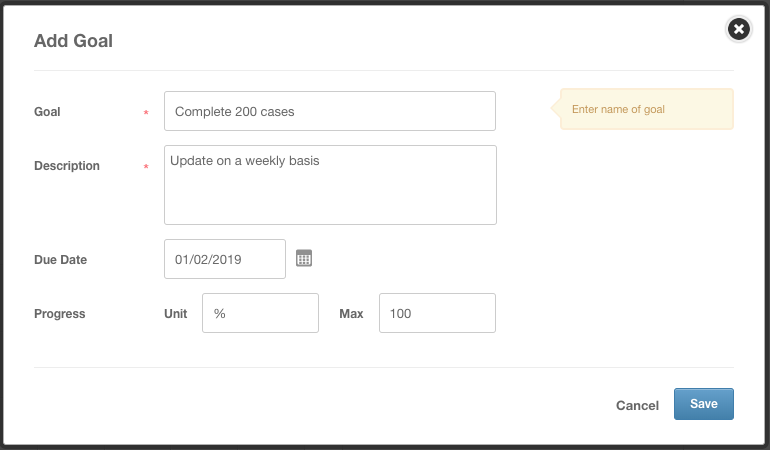 In the Goals page, you can set up own goals throughout the year, specify a due date, check in and update progress any time which will notify your manager and also priorities some goals over others. The Goals page can be found within your Performance Review. 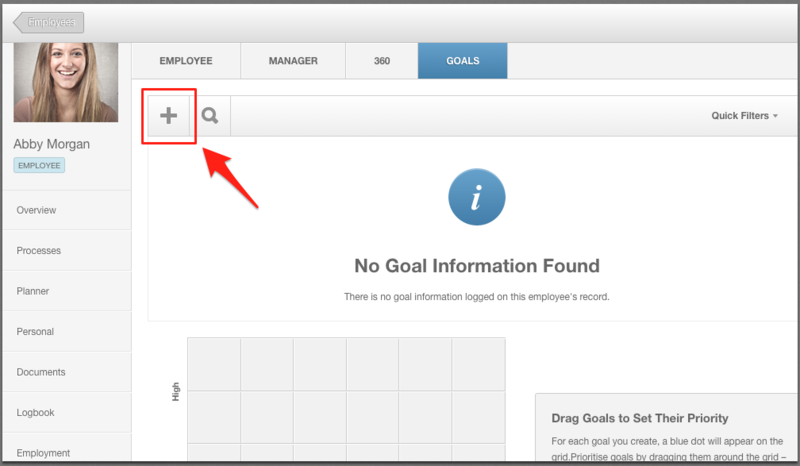 A review will have to be present (open or closed) within your record for the Goals to be accessible. Goals will follow you through all performance reviews - when you close a review and start another, the Goals page and all goals within it will stay the same. Even if a review gets deleted, your goals will be stored in the background until you open another or view your past reviews. 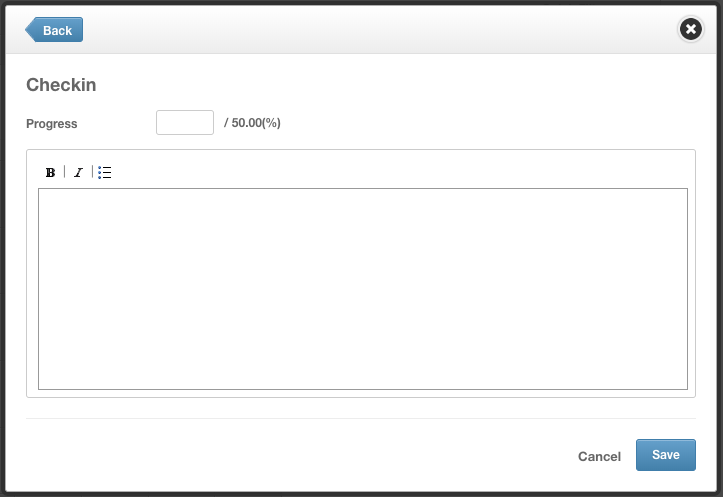 You can use the Priority table to represent the value/priority against the effort required to complete this goal. Here is where you can view all progress made so far.